CASE: A construction worker who had assembled scaffolding and was working on a big piece of rotating equipment was killed when his safety harness was accidently hooked by a 2 inch protruding cap on the equipment. The Glorioso Law Firm argued that the cap was a defect on the equipment and that no notice was given about the cap. The defendant argued that the scaffolding was improperly erected and assembled by plaintiff and therefore the plaintiff was at fault for his death. 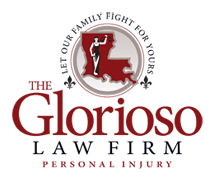 The Glorioso Law Firm received $750,000 for the deceased man’s family.